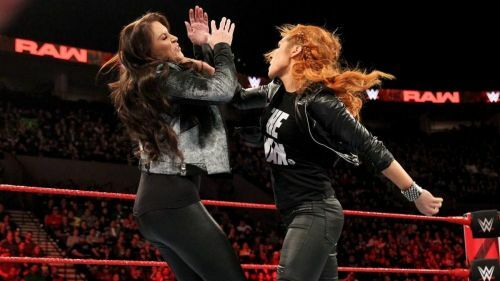 This week's edition of WWE Monday Night RAW (4th February 2019) saw a lot of contrasting moments. Right from Jeff Jarrett's in-ring return to Becky Lynch's hatred for authority, last night's episode had it all. In its entirety, the episode comprised of several eye-catching moments, even if some of them were questionable indeed. Regardless of what you thought about the show, it was apparent that WWE did their best to keep the show lively from start-to-finish. With Dean Ambrose appearing in headlines when it comes to his status within the company itself, last night's "A Moment Of Bliss" segment was questionable, to say the least. For starters, EC3 wasn't allowed to talk even though we are fully aware of the fact that he can be quite charismatic on the mic. On top of that, there seems to be unexplained tension between Nia Jax & Dean Ambrose, with the latter dropping some hard 'facts' in rapid succession. EC3 and Alexa Bliss had their own flirtatious moments right from the start. Let us also not forget that Renee Young (Ambrose's spouse) was on commentary right behind Dean Ambrose when he decided to call out Nia Jax for having a crush on him. But really, the very fact that EC3 defeated Ambrose in such a short amount of time has been subjected to a lot of criticism after the show ended. When you look at it, all of the aforementioned moments could have succeeded in an alternate scenario where the audience actually knew what drove all of these characters to act in the way they did last night.